Brace yourself, it’s a long one (in photos). Weee! Right beside where a friend of mine is; [he sells eggs and rice as his livelihood, and to help him out, I get eggs from him. (I call them long distance eggs. *heehaha) You might want to get some from him, too? 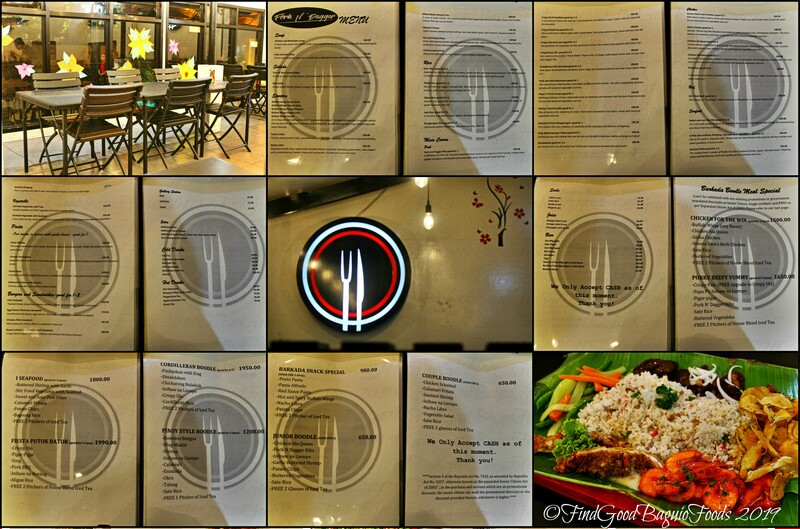 =D] is a small resto offering seafood in tasty, tasty sauce. Scroll down to the end of this post to get a look-see of the little wok, my friend and I feasted on, as we caught up with each other’s lives. This seafood restaurant also offers unlimited crabs for P699 on specific days, so stay updated by following their Facebook page. 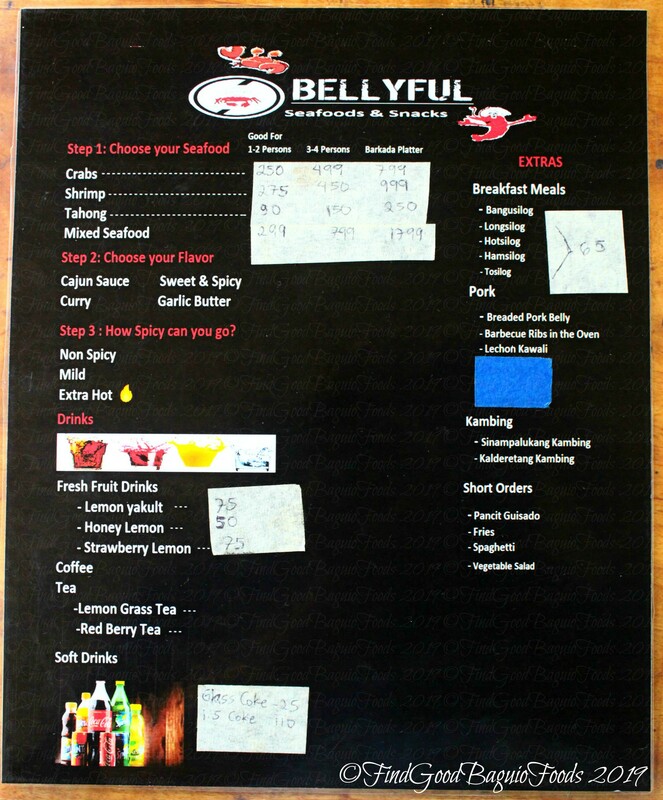 This little food stop has been pink on our list for ages. Finally, got to try their budget friendly bites for the students … and the thrifty in the vicinity. Student eats with unli rice. Oh yeah! There sure is a quick turnaround of concessionaires at Food Hub. 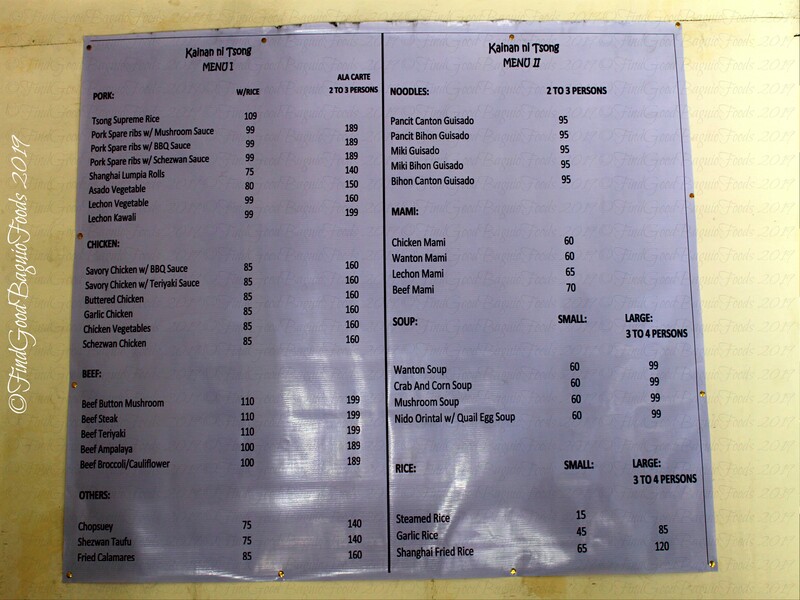 Replacing Mang Bolex is Kusina ni Tsong with a somewhat similar list of good eats. Just in time for summer, wouldn’t you say, my foodie friend? Cool off with mango juice and/or mango infused AND topped soft serve ice cream. Nyum! I don’t have their menu with prices right this moment, but just the same, it’s an announcement to you, dear eatsploring reader, that there’s a new Thai resto in the Baguio hood. 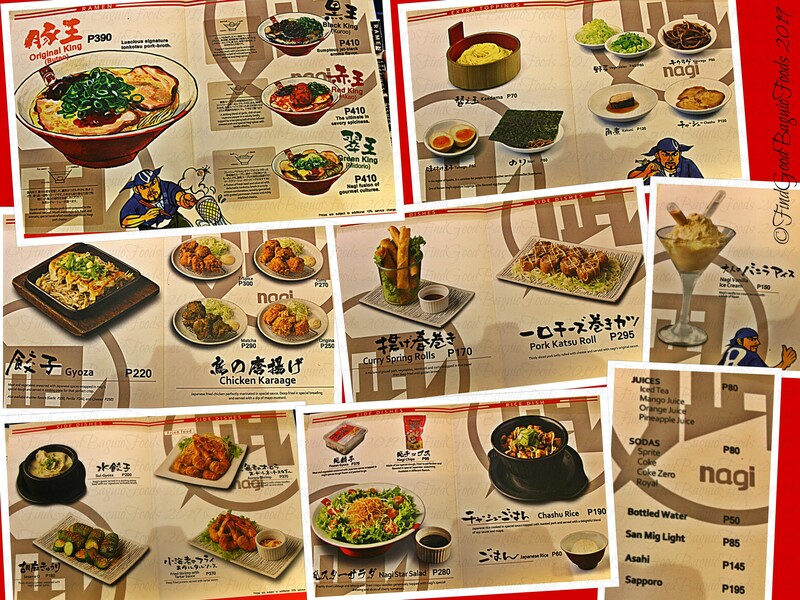 ^^, Walk through their doors and you’re in Thailand, just like that … especially with their scrumptious dishes. Got me reminiscing about my Amazing Race-like few days there years back. 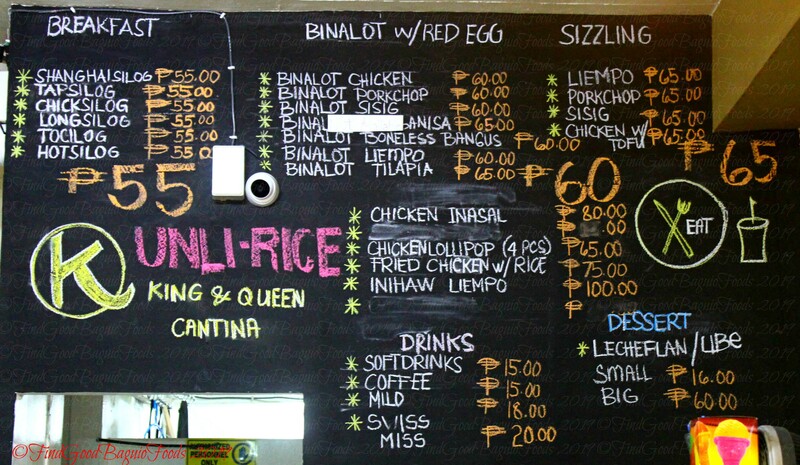 Before enjoying the Fork and Dagger’s boodle for two. How the years fly by, eh? 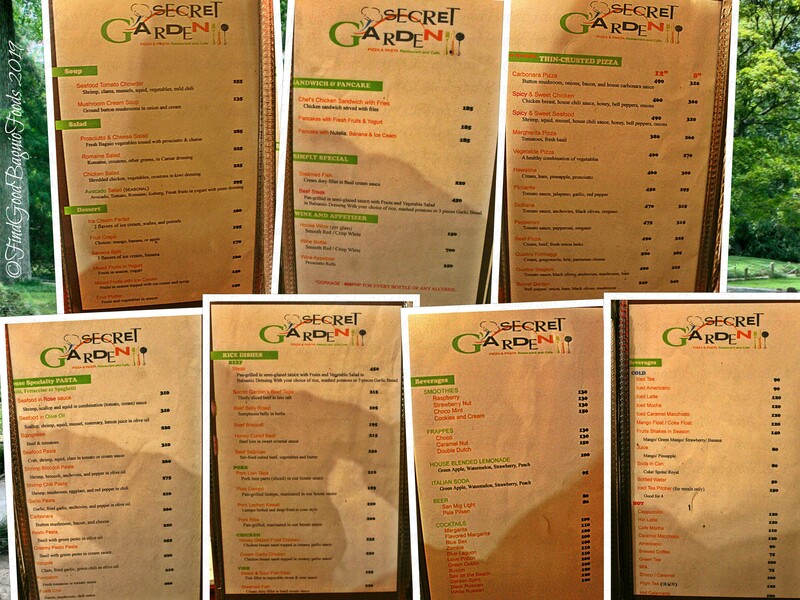 I can’t believe how long it’s been since I was at the garden, that’s not so secret anymore but they still serve good food. The mixed seafoods platter looks delicious!! Loc of Bellyful? Hello there, Marc! It does, doesn’t it? Fantastic sauce, for real. 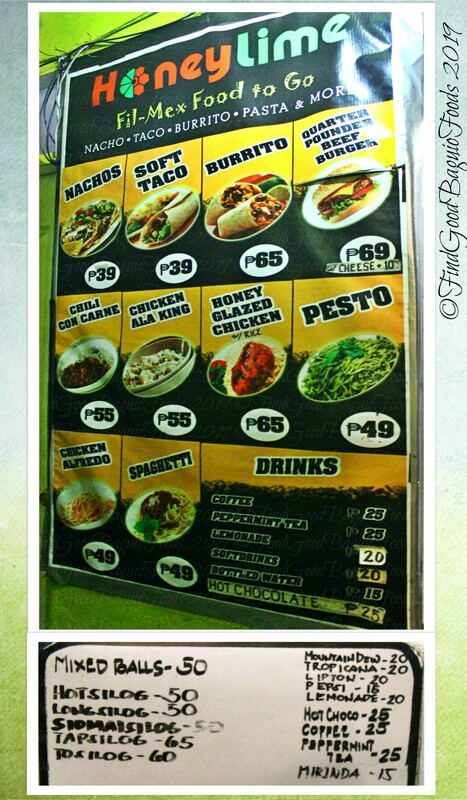 Bellyful Seafoods & Snacks is located in Naguilian Road, a little after Isuzu. YES a Thai restaurant in Baguio. I love Thai food. Som Tam Resto is next on my list. Thank you for telling about it. Hello, Sally! Happy dancing for us. 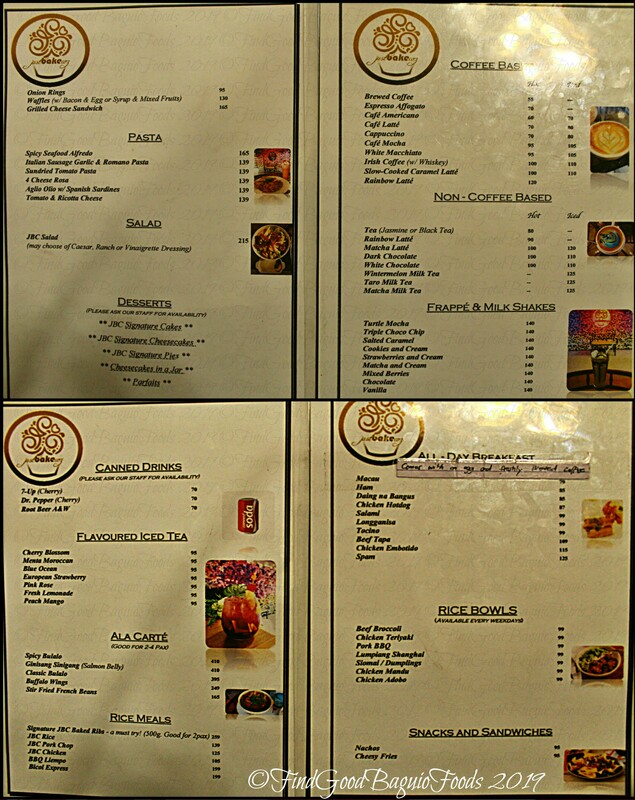 (“,) I hope you enjoy dining at SomTam Thai Restaurant on the third floor of Leonard Wood Terraces! Thanks for dropping by! Radmanov is the store in Tracoville near the shoe cleaner isn’t it? Thanks. Mango Mango is in Baguio. Where can I find their booth? My son tried their mango soft serve in Clark and liked it. Hello there, Queen Ara! 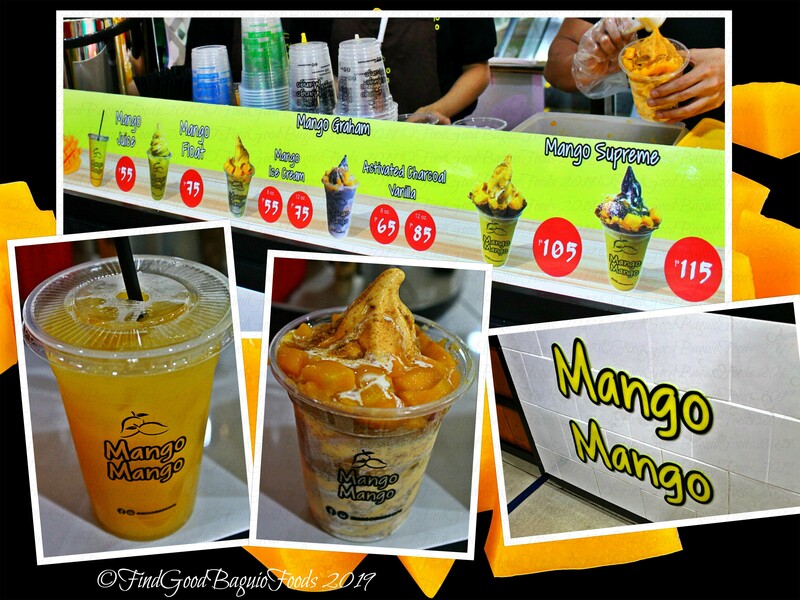 Mango Mango is a refreshingly delish soft serve ice cream. 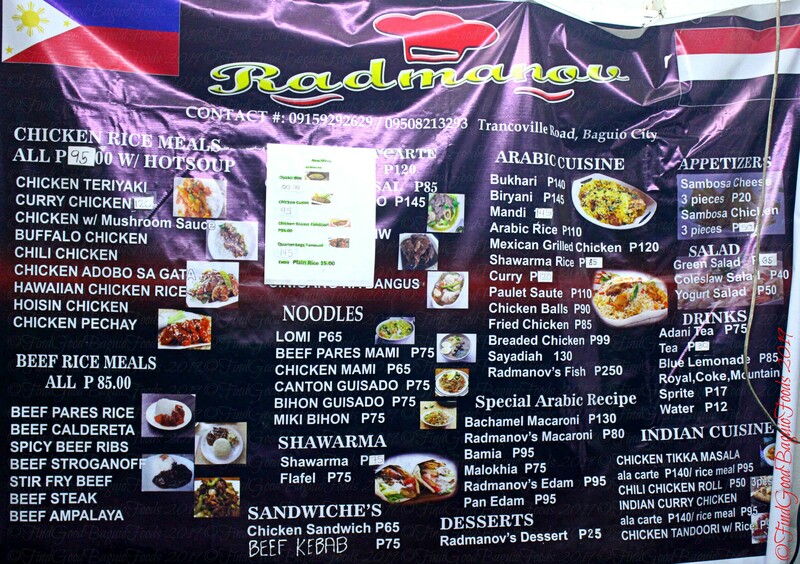 Their Baguio booth is located in Cedar Peak on Mabini, same floor as Union Bank. Wow, the list itself getting water in mouth. There are so many things you have listed and I will really try one by one for sure. Thanks a ton for this as i am a traveler i am looking for food suggestion that i got here. Please share more useful info like this. Hello there, Mary! 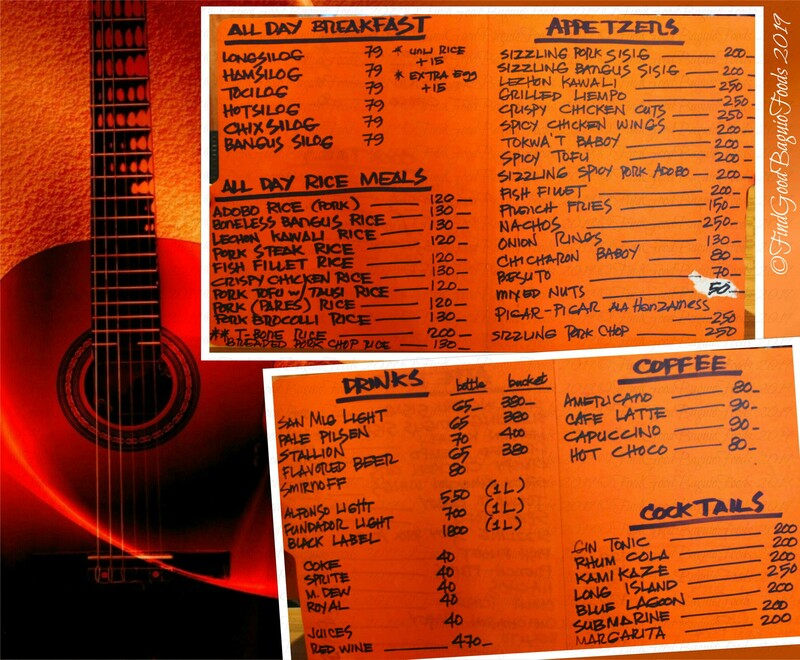 I’m glad to hear that you found the information in this Baguio food blog useful.